Diabetes is the most common cause of neuropathy worldwide. People experience burning, numbness, and tingling in their legs most often, and then it can spread up the leg, and to the hands and fingers. When it occurs, it strikes both legs and arms at the same time in a “stocking-glove distribution,” meaning that the affected area could be covered by a stocking or glove. The pain can interfere with regular activities and also cause cramps and restless legs. The pain in diabetes patients can vary from back pain or even carpal tunnel syndrome to neuropathic pain in the feet or hands. 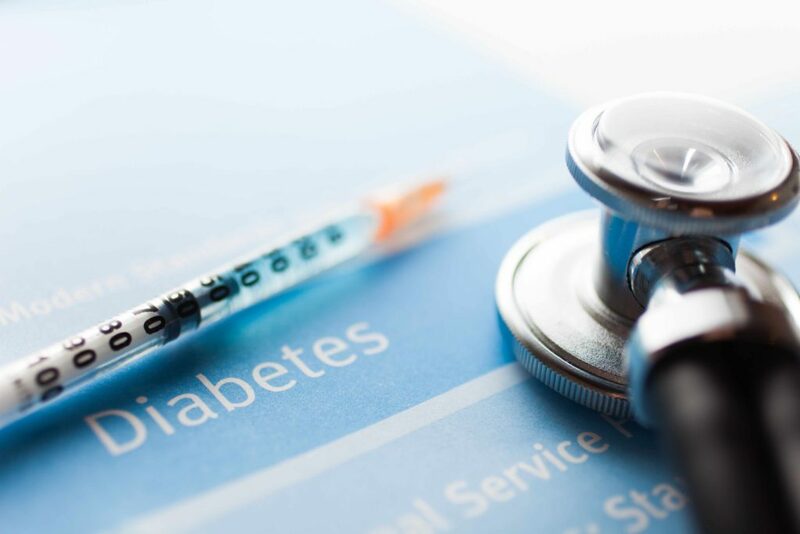 The term, diabetic peripheral neuropathy describes damage to the small nerves in the hands or feet – this pain can affect 50% of those with diabetes. A surprising problem occurs in patients with chronic diabetic pain – self-care. Managing diabetes usually requires an exercise regimen, but chronic pain often inhibits those activities because people avoid using their feet due to discomfort. A disturbing part about this pain is that no one can see it except for those suffering with it. It’s typically invisible, unless ulcers or infection develop. What can we do about it? How are we supposed to treat both diabetes and the pain? As we know, chronic pain affects us physically, mentally, and emotionally. Treating diabetes alone can be daunting, but treating pain is like treating a whole other disease. The two may go hand in hand, but the treatments may differ drastically. These are some good approaches to treating diabetic pain and often apply to other chronic pain conditions as well. Exercise: Regular exercise helps to control blood sugar. High blood sugars damage the walls of blood vessels which leads to a decrease in blood flow to nerves. The nerves malfunction and cause pain. High blood sugars may also sensitize nerves to pain. Pain medications: Be aware of the medicines approved by the FDA for diabetic pain: pregabalin (Lyrica), duloxetine (Cymbalta), gabapentin (Horizant), Tapentadol (Nucynta), and the topical lidocaine patch. Many pain specialists start with these first, and then add other medicines if these don’t provide sufficient relief. Other medicines to consider are nortriptyline (Pamelor), gabapentin (Neurontin), and tramadol. Neuromodulation: Some studies have demonstrated the benefit of spinal cord stimulation in diabetes pain. This is something to consider if more conventional therapies don’t provide enough relief. Alternative methods: Some patients report benefit from acupuncture. Other helpful alternative pain treatments include yoga, and cognitive behavioral therapy. Studies have shown that a specialized regimen for treating diabetes and chronic pain is the best route. Remember to treat diabetes using proper nutrition, exercise, and medications, and treat any accompanying pain. If you are struggling to manage your diabetes because of significant pain or if diabetes pain is limiting your life, consult your primary care doctor, neurologist, or pain specialist. Treatment is available that can make you feel better and improve your life. Posted in Blog, Disease, Exercise, Leg and Foot Pain, Uncategorized.